Since 1989, Groom Insurance Agency Inc has been providing car insurance for low-income and low credit individuals and families in Texas. We also provide car insurance to foreigners, visitors and other non-license holders. Too often we see people's cars and vehicles towed because they lack insurance. Most insurance companies prefer to deal with numbers, data, and systems when analyzing a client's request for car insurance. 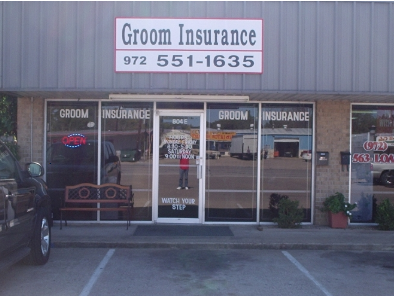 Groom Insurance Agency Inc goes the extra mile to understand the specific needs of our clients. Oftentimes, people are not given access to car insurance due to income challenges or lack of license. Leaving them without the car accident protection they need. "For I know the plans I have for you,” declares the Lord, “plans to prosper you and not to harm you, plans to give you hope and a future. Then you will call on me and come and pray to me, and I will listen to you. You will seek me and find me when you seek me with all your heart." Call us or click below for your free quote!